Dr. Thomas Franklin Sumrall, 54, of Hattiesburg, died September 9, 2018 at Asbury Hospice House. Tommy was born on July 11, 1964, in Hattiesburg, MS. He graduated from Forrest County AHS in 1982. He enlisted in the United States Navy from 1984-1994. After active duty service he attended The University of Southern Mississippi, receiving a BS degree in Science Education in 1992. After one year teaching at Bay St. Louis High School, Tommy began a career at Forrest County AHS, where he taught primarily chemistry and physics, while coaching men’s basketball. 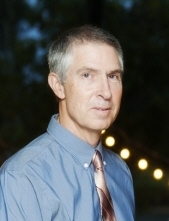 While employed at Forrest County AHS, he continued his education completing an MS degree in Mathematics Education from William Carey College in 1995 and a PhD in Science Education from the University of Southern Mississippi in 2008. After retirement from public education in 2013, Dr. Sumrall began teaching at Columbia Academy from 2015 until his illness began in November of 2017. He was a life member of Veterans of Foreign Wars #3036 of Hattiesburg. He was preceded in death by his father, David Sumrall. He is survived by his loving wife, Emily Shattles Sumrall of Hattiesburg; one daughter, Erin Sumrall of the Dixie Community; one son, David Sumrall of the Dixie Community; stepson Kylan Richardson of Hattiesburg; one brother, Corey Sumrall (Brenda) of the Dixie Community; one sister, Tara Hollingsworth (Mike) of the Dixie Community; and his mother, Marjorie Sumrall of the Dixie Community. Visitation will be Saturday, September 15, 2018 at Dixie Baptist Church from 12:30 – 3 p.m. with services immediately following. Tommy’s final resting place will be in Dixie Baptist Church Cemetery. In lieu of flowers, the family requests that donations be made in Tommy’s name to the Homes of Hope. To send flowers or a remembrance gift to the family of Dr. Thomas Franklin Sumrall, please visit our Tribute Store. "Email Address" would like to share the life celebration of Dr. Thomas Franklin Sumrall. Click on the "link" to go to share a favorite memory or leave a condolence message for the family.